Bacteria are everywhere, including in and on our bodies. There are estimated to be as many bacteria in a human body as there are human cells. Our bodies are normally very good at keeping bacteria where they generally don't cause damage – on skin surfaces and in the digestive tract – and away from areas that should be "sterile" – such as the urinary tract or blood. Mostly this is done by using barriers that physically prevent the entry of bacteria. Physical damage to the skin, such as cuts and scrapes, or surgery, can allow bacteria ready access to the inside of the body, potentially introducing more bacteria than the body's defence systems can handle. The ability of bacteria and humans to peacefully live with each other explains why "superbugs" – bacteria that have become resistant to being killed by antibiotics – can be present, but not immediately dangerous. The prototypical drug-resistant bacteria – methicillin-resistant S. aureus (MRSA, or golden staph) – has been around for decades. Almost everyone has S. aureus on their skin, usually around the nose, but (depending on the country and study), anywhere from 1 in 50 to around 1 in 5 people carry a version of S. aureus that has acquired resistance to some types of antibiotics. As long as it stays on the skin, resistant S. aureus doesn't cause a problem, and people generally don't know they carry it. But if it manages to breach the body's barriers and cause an infection, it can lead to harm if the right type of antibiotic is not used to treat it. It's usually at this point, during attempts to treat an infection, that it becomes identified as a resistant bacteria. 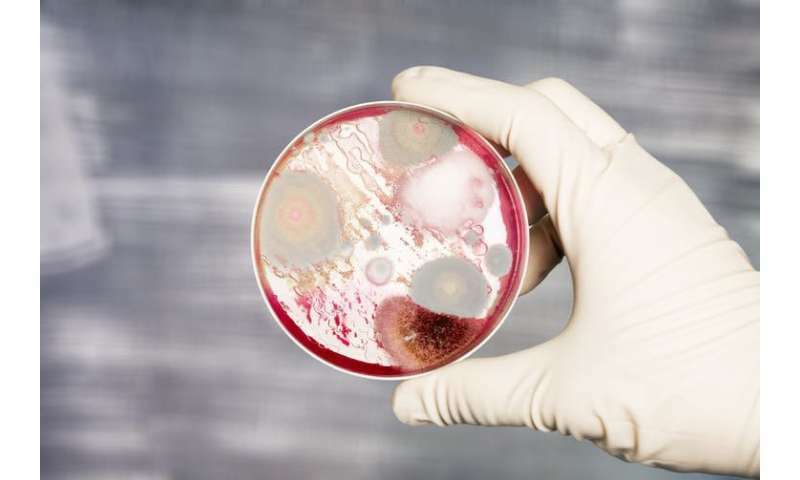 More than 20 patients died from CRE in Florida during 2008-12, while 6 out of 17 patients infected with a K. pneumoniae superbug died in a US hospital outbreak in 2011. Fortunately these cases are still very rare in Australia – for now. But with increasing levels of international travel, when people visit countries with much higher levels of resistance in the general population and environment – places such as Greece, India, Brazil, Thailand, and China – they can be exposed to, and become silent carriers of, the deadly bacteria. It is important that, if in hospital for an infection or surgery after an overseas trip, you let your doctor know that you have been travelling.